We carry the full-line of Luverne Truck Equipment Inc. truck accessories! These products are made in America by American workers. Check out some of the products below, and see the full catalog of products at www.luvernetruck.com. Or, for more information, call us today at 724-843-5280. 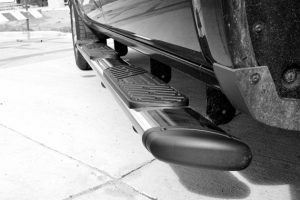 Luverne Side Entry Steps feature a classic, contoured design that mounts flush to your vehicle”s rocker panels and provides 7″ of comfortable, non-skid stepping width. 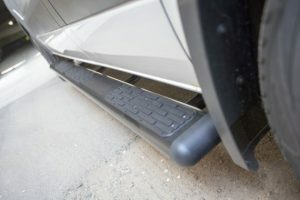 These side steps are made to stand the test of time with stainless steel construction, durable black plastic end caps and two finish options to choose from. 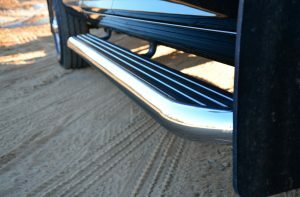 Luverne 3″ round nerf bars provide a rust-free accent and a reliable step up into your truck or SUV. They feature a made-in-USA, vehicle-specific design to contour to each unique make and model, and they are constructed from durable stainless steel to be impervious to rust. No other step combines bold surface area with a finished styling quite like LUVERNE 6″ oval tubular steps. These 6″ x 3″ ovals feature unique 30-degree bends in the front and rear and come with seamlessly welded end caps for a superior finished look. Luverne Baja Steps™ are designed and built to conquer the trail. 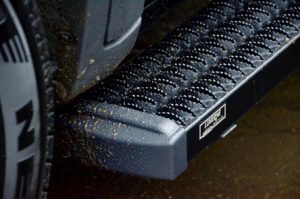 These rugged steps feature an off-road style and are built to be a superior off-road accessory. 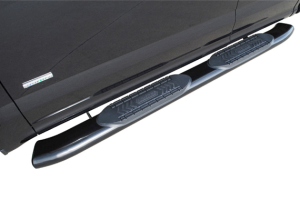 Get the job done with Luverne Grip Step™ 7″ running boards. These steps feature a unique expanded metal tread pattern for superior traction. Built from aluminum alloy, these steps are exceptional, have rust-free strength, and are simple to install using high-strength vehicle-specific brackets. 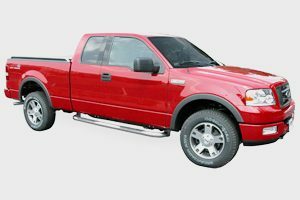 Luverne MegaSteps® 6 1/2″ running boards feature the look of popular nerf bards with the convenience and comfort of a running board. 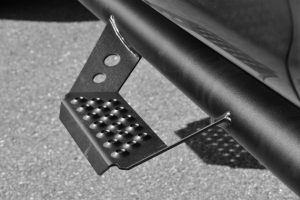 They have 5″ wide treads that extend the full length of the board and feature an aluminum core with a stainless steel trim. For functionality and a contemporary style, LUVERNE O-MegaStep™6″ oval steps provide safe, customizable footing for your vehicle. They feature no-break polypropylene step pads that mount with self-tapping screws to allow for custom positioning. Luverne Regal 7™ oval steps are the largest oval steps on the market, perfect for those with a full-size truck or SUV. Their designed is patented and features a 7″ width and non-skid pads with a nerf bar styling.